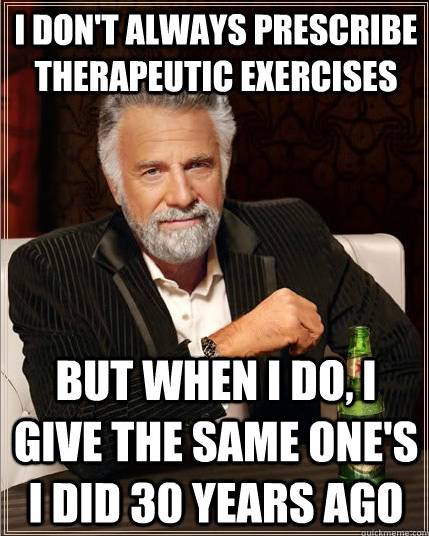 I’ve been in over 25 clinics and worked with over 75 physical therapist. While this helped me gain knowledge and experience in the field, it has also shown me the different “types” of physical therapist out there. Most PT’s are great clinicians and want to help people to the best of their knowledge. However, there are some PT’s out there that become “that guy”. If you’ve worked in a couple different practices or if you think back to PT school you have probably met one of these “guys”. 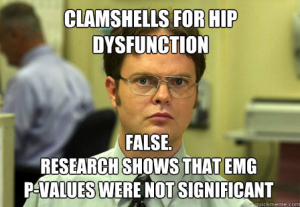 There are 3 types of “that guy” in the PT world: the hipster PT, the research snob PT, and the ancient PT. It’s fun to humorously classify these types of PTs, but it’s also important to make sure you don’t become one of them. This is the hippocritical PT that hates any idea that isn’t his own. He likes to think he’s extremely innovative and ahead of the curve. He thinks disagreeing and saying no makes him better and smarter than you. No one else’s ideas are as good as his and if there’s any other way, it’s wrong. His strong beliefs in his own accepted theories prevent him from learning anything new or expanding his skills. He practices his physical therapy approach like it’s a religion. These are the PT’s that subscribe soley to one method and look down at any other method. There are many different approaches out there (SFMA, DNS, PRI, NOI, Paris, Mulligan, Maitland, McKenzie, Feldenkris, etc.). 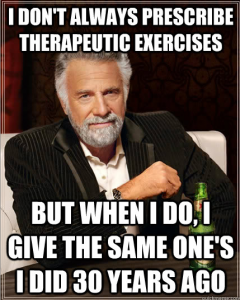 Thus, there are many ways to accomplish the same thing in the rehab world. 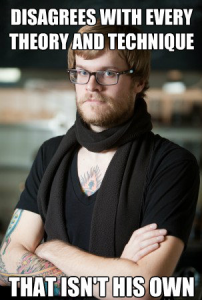 Instead of utlizing all of these great methods into a blend that will best serve the patient, the Hipster PT sticks with the one he decided was cool before everyone else thought it was cool. This is the guy that spends way too much time pretentiously quoting exact authors and articles to everything he does. He says “the latest research shows…” in almost every sentence. He thinks that just having a reference makes him right. He almost robotically applies EBP and there’s no creativity or art to his treatments. The biggest problem with this is that research always lags behind clinical advancements. Instead of giving the patient what they need, he forces the best evidence approach for the pathology they have. This is the guy that goes by the motto “if it ain’t broken, don’t fix it”. They’re still spending over 20 visits using only VMO strengthening for their patellafemoral patients while shunning dynamic valgus as a trend that will come and go. They are either too lazy or too narcicistic to adapt new techniques and new evidence into their practice. Sure there are some things that will always be applicable, but if you’re not up to date with the latest stuff then you’re already behind. It’s important for physical therapists to work together and support one another to better our profession. Clinical advancements and professional autonomy will only be hindered with a closed-minded approach. We will all be better off if we focus on what we are trying accomplish instead of arguing about what we do differently. Principles always outlast methods. Hopefully this post provided you some humor and possibly some sympathy. If this post offended you, than you might be “that guy”. Hi, I´m a physiotherapist student from Colombia. This classification applies for all the contries, I agree. Is funny 🙂 but is true that we have to be careful so we can´t let that the routine make us to forget our real goals. Is my first time in the site, thanks it has been useful for my homeworks. You nailed it! 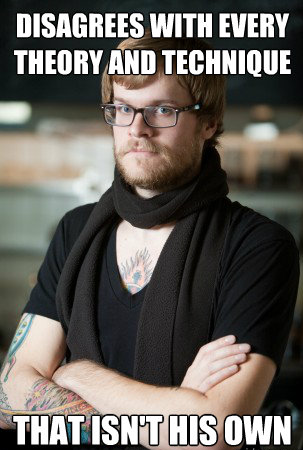 Most PT s I ve come across fall into the ” hipster ” mold as giving credit or acknowledgment to something other than their own would be a sign of weakness.